Below you fill find all funeral homes and cemeteries in or near Arroyo Grande. Suburbs of Arroyo Grande: Halcyon, Pismo Beach. 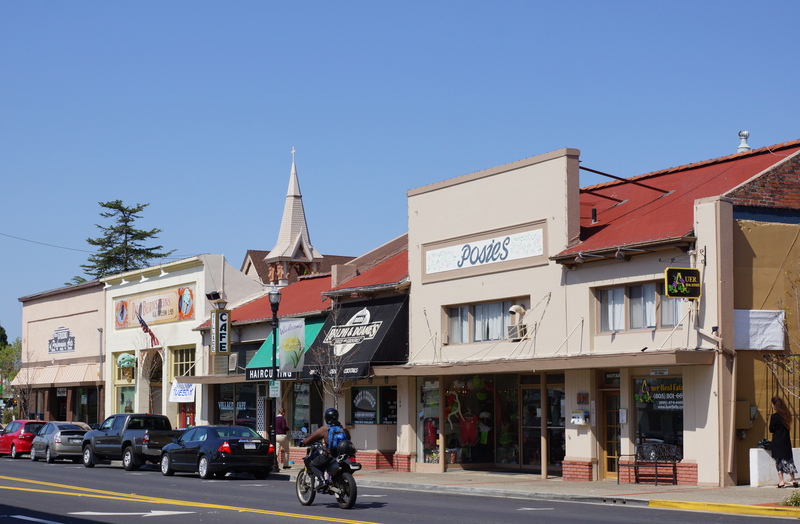 Arroyo Grande is also known as: San Luis Obispo County / Arroyo Grande city. Zip codes in the city: 93420, 93421. It was revealed by Orange County Register on November 18th, 2018 that Christine Louise Lokey (Couey) passed on in Arroyo Grande, California. Ms. Lokey was 71 years old and was born in Santa Fe, NM. Send flowers to express your sympathy and honor Christine Louise's life. It was noted by San Luis Obispo Tribune on November 27th, 2017 that Jon Masayoshi Sato perished in Arroyo Grande, California. Sato was 67 years old. Send flowers to express your sorrow and honor Jon Masayoshi's life. It was disclosed by San Luis Obispo Tribune on November 24th, 2017 that Carolyn Louise Terrones-Sulborski passed away in Arroyo Grande, California. Terrones-Sulborski was 52 years old. Send flowers to share your condolences and honor Carolyn Louise's life. It was revealed by San Luis Obispo Tribune on November 8th, 2017 that Harriet Larson passed on in Arroyo Grande, California. Larson was 90 years old. Send flowers to share your condolences and honor Harriet's life. It was written by San Luis Obispo Tribune on November 5th, 2017 that Joseph Jack Morales passed on in Arroyo Grande, California. Morales was 86 years old. Send flowers to express your sympathy and honor Joseph Jack's life. It was reported by South West Times Record on October 8th, 2017 that Danny Joe Rye passed on in Mountainburg, Arkansas. Rye was 53 years old and was born in Arroyo Grande, CA. Send flowers to share your condolences and honor Danny Joe's life. It was disclosed by San Luis Obispo Tribune on October 4th, 2017 that Estrella Hortillosa (Belviz) died in Arroyo Grande, California. Ms. Hortillosa was 89 years old and was born in Barotac Nuevo Iloilo, . Send flowers to express your sorrow and honor Estrella's life. It was reported by San Luis Obispo Tribune on September 24th, 2017 that Anne Ford (Eason) passed on in Arroyo Grande, California. Ms. Ford was 65 years old and was born in Champaign, IL. Send flowers to express your sorrow and honor Anne's life. It was noted by Orange County Register on July 23rd, 2017 that David William Massey died in Arroyo Grande, California. Massey was 54 years old and was born in Royal Oak, MI. Send flowers to share your condolences and honor David William's life. It was reported on June 1st, 2017 that Ripsime "Rose" Plaehn (Bedrosian) passed on in Arroyo Grande, California. Ms. Plaehn was 95 years old and was born in Harput, . Send flowers to share your condolences and honor Ripsime "Rose"'s life. The city of Arroyo Grande was Municipal corporation on July 10, 1911. They sold off smaller parcels of land to settlers. The Mission San Luis Obispo de Tolosa was established nearby, and agricultural activities expanded into the area. They were managing a successful cattle ranching operation when California became a US territory, and then a US State. In 1836 he and his wife and baby son moved onto the 17,000-acre Santa Manuela Rancho. Here are the results for funeral homes in Arroyo Grande California. You can find some of the best funeral homes businesses serving Arroyo Grande. Find a Funeral Home inArroyo Grande, California CA to provide the caring burial and ceremonial services your family deserves. We work with local florists and flower shops to offer same day delivery. You will find budget sympathy flowers in Arroyo Grande here. Our funeral flowers are cheap in price but not in value.